When designing the ideal set of windows, homeowners must take into account what type of frame will work best for their specific needs. Because different houses have different needs, it's important to be aware of the benefits of each type of window frame. For example, homeowners who value energy efficiency should consider a vinyl window replacement. Whether you're planning a wood, aluminum, fiberglass or vinyl window replacement, or shopping for new windows, it's important to understand the different frame materials. Read on to find the best type of window frame for you. 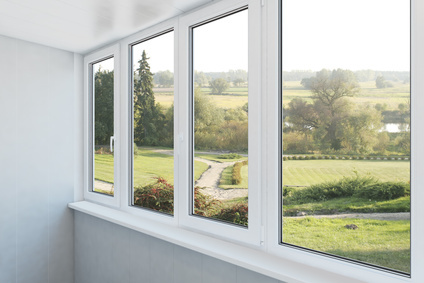 A vinyl window replacement is ideal for homes in areas that regularly face high temperatures. Because vinyl window frames are made with ultraviolet stabilizers, a vinyl window replacement can take a beating from the hot sun without breaking down. Homeowners can also add insulation to their vinyl window replacement, giving it supplementary thermal assistance. Because it is extremely resistant to condensation, your vinyl window replacement will require very little maintenance. Furthermore, a vinyl window replacement never needs to be painted, making it one of the easiest options for homeowners. Wood frames are known for possessing a natural-looking beauty. Because of the availability of the material and the ease of manufacturing, wood is one of the most popular types of material frames. However, wood frames are not quite as durable as a fiberglass or vinyl window replacement. Because wood tends to be vulnerable to the elements, additional maintenance may be required. Homeowners should stain the material in order to keep the wood frames beautiful and in good working condition. Aluminum frames are known for their light weight and strength. Because the material is readily available, aluminum frames tend to be fairly inexpensive. Additionally, aluminum frames require little maintenance, making them a great option for a busy household. Much like a vinyl window replacement, aluminum window frames are generally durable and can withstand wear and tear from the elements. However, they tend to easily conduct heat quickly; when it's hot outside, your aluminum window frames will become very hot as well. This makes them less energy efficient than many other window frame options. Made up of a combination of resin and glass fibers, fiberglass frames are growing in popularity, due to their price, durability, and their charming appearance. Fiberglass is one of the most durable materials used in window frames. As with a vinyl window replacement, fiberglass frames require very little maintenance after installation. While similar in appearance to wood frames, fiberglass will stand up to the elements without rotting or warping. Composite window frames resemble wood, and are made of various composite wood products, such as particleboard or laminated strand lumber. Less expensive than fiberglass frames, composite frames are a stable, low-maintenance, energy efficient, and environmentally friendly alternative to wood frames. Whether the most important factor for your home is long-term durability, ease of maintenance, or energy efficiency, there are many different options when it comes to window frames. Some homeowners will prefer a classic wood frame, while others may enjoy a newer vinyl window replacement. In order to start shopping for new window frames today, use HomeAdvancement's easy links to contact with a qualified local contractor.